Although not always highlighted in the West, prayer and devotion are a living stream in Buddhism. The earnest wishes expressed in the practices of lovingkindness and compassion—May I be happy, May You be free from suffering—are forms of prayer. The aspiration to find refuge in the Buddha (or Buddha “awakened” nature) is an expression of devotion to truth and freedom. When we’re suffering and turn to prayer, no matter what the apparent reasons for our pain, the basic cause is always the same: we feel separate and alone. John O’Donohue, in his book Eternal Echoes, writes: “Prayer is the voice of longing; it reaches outwards and inwards to unearth our ancient belonging.” This is a beautiful description of what I call mindful prayer. We reach not just outward to know our belonging, but with mindful prayer we also turn inward and listen deeply to the suffering that is giving rise to our prayer. When we are willing to touch the pain of separation—the loneliness, the fear, the hurt--, our longing carries us to the tender and compassionate presence that is our awakened nature. I experienced the transforming power of mindful prayer some years ago when I was suffering from a broken heart. I’d fallen in love with a man who lived 2000 miles away, and because we couldn’t weave our lives together, the relationship ended. The loss was crushing, and while I accepted my grieving process for the first month or so, as it went on and on I felt more excruciatingly lonely than I’d ever felt in my life. In the room where I meditate, I have a Tibetan scroll painting (called a thanka) of the bodhisattva of compassion. Known as Tara in Tibet and Kwan Yin in China, she’s an embodiment of healing and compassion. One morning, as I sat crying in front of the thanka, feeling crushed and worthless, I found myself praying to Kwan Yin, wanting to be held in her compassionate embrace. For a while, this seemed to help. Yet one morning, I hit a wall. What was I doing? My ongoing ritual of aching, praying, crying, and hating my suffering was not really moving me towards healing. Kwan Yin suddenly seemed like an idea I’d conjured up to soothe myself. Yet without having her as a refuge, I now had absolutely nowhere to turn, nothing to hold on to, no way out of the empty hole of pain. At that moment, even though it seemed like just another concept, I remembered that, for the aspiring bodhisattva, suffering is the trusted gateway to awakening the heart. I remembered that when I’d remained present with pain in the past, something had indeed changed. I suddenly realized that maybe this situation was about really trusting suffering as the gateway. Maybe that was the whole point—I needed to stop fighting my grief and loneliness, no matter how horrible I was feeling or for how long it continued. I recalled the bodhisattva’s aspiration: “May this suffering serve to awaken compassion” and began quietly whispering it inside. As I repeated the prayer over and over, I could feel my inner voice grow less desperate, more sincere. I knew it was true—I could awaken to the love I yearned for by directly touching the fullness of this suffering. The moment I let go into that truth, the change began. That day in my meditation room, as I let the loneliness cut more deep, scarcely able to bear the searing pain of it, I realized that I was longing—not for a particular person, but for love itself. I was longing to belong to something larger than my lonely self. As I let go into the yearning, I distinctly sensed Kwan Yin as a radiant field of compassion surrounding me, cherishing my hurting, vulnerable being. As I surrendered into her presence, my body began to fill with light. I was vibrating with a love that embraced the whole of this living world—it embraced my moving breath, the singing of birds, the wetness of tears and the endless sky. Dissolving into that warm and shining immensity, I no longer felt any distinction between my heart and the heart of Kwan Yin. All that was left was an enormous tenderness tinged with sadness. 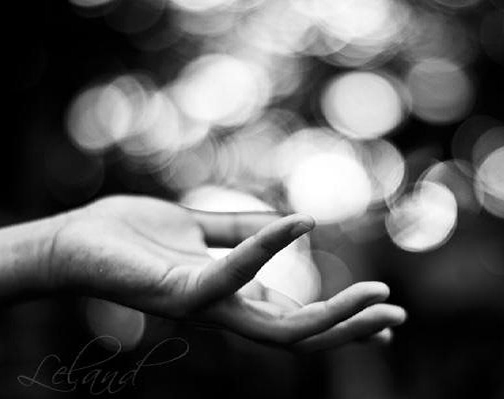 The compassionate Beloved I had been reaching for “out there” was my own awakened being. Whenever we pray, we might begin by reaching out, and in that way remember the warmth and safety of connectedness. Yet, we ground our prayer by reaching inward to the raw feelings of loneliness and fear. Like a great tree, mindful prayer sinks its roots into the dark depths in order to reach up fully to the light. When the pain is deep, the more fully we touch it, the more fully we release ourselves prayerfully into boundless, compassionate presence.